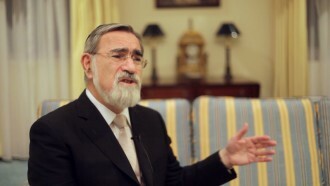 Lord Rabbi Sacks served as Chief Rabbi of the United Hebrew Congregations of the Commonwealth from 1991 - 2013. Educated at Cambridge University, he pursued postgraduate studies at New College, Oxford, and King’s College London. The Chief Rabbi holds 15 honorary degrees, including a Doctor of Divinity conferred by the Archbishop of Canterbury. He received the Jerusalem Prize in 1995 and The Ladislaus Laszt Ecumenical and Social Concern Award from Ben Gurion University. He was knighted by Her Majesty The Queen in 2005 and made a Life Peer in 2009. He has written 24 books, receiving the Grawemeyer Prize for Religion in 2004 for The Dignity of Difference. 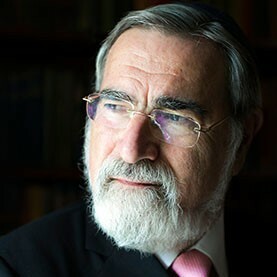 Rabbi Sacks currently serves as Professor of Judaic Thought at New York University and at Yeshiva University.Rabbi Sacks currently serves as the Ingeborg and Ira Rennert Global Distinguished Professor of Judaic Thought at New York University and the Kressel and Efrat Family University Professor of Jewish Thought at Yeshiva University. 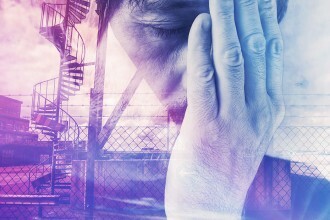 Now is the time; come closer to G-d; make a difference; do a mitzvah. Judaism is done down here.